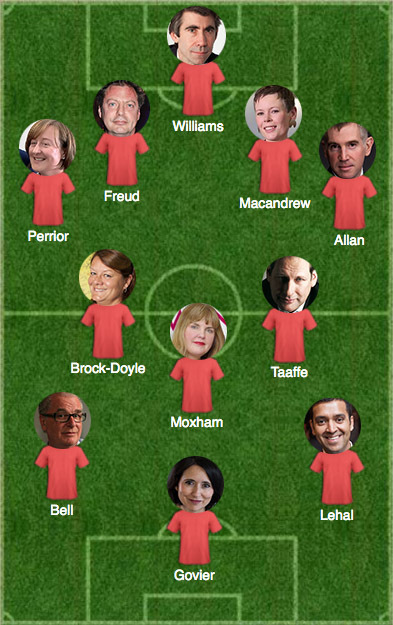 Who has PRWeek selected in its industry fantasy football team? So you've seen the line-up. Based on that and the player biographies below, we need you to select our captain – click on who you think is best qualified to lead our team and share with your PR industry colleagues. 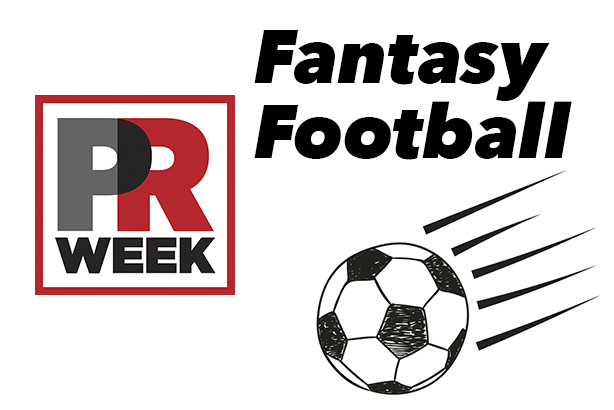 Who should captain the PRWeek Fantasy Football Team? Ed Williams, CEO, Edelman UK: A safe pair of hands. The former Reuters and BBC comms chief has enough experience to organise a defence. Has steadied the ship at the UK’s biggest agency and avoided own goals. Tim Allan, CEO, Portland: Naturally plays on the left, but can also drift into the middle. Seems to be on the defensive at moment. Katie Perrior, comms director, 10 Downing Street: Back in play with Theresa May, as Pogba returned to Man Utd. Plays on the right but watches the wings (for forays by IDS and David Davis). Matthew Freud, chairman, Freuds: If you’re looking for a solid defender, this is the man you’d turn to. A tad unpredictable – à la David Luiz – but a natural leader and calm head in any crisis. Alice Macandrew, comms director, Thomas Cook: Another ‘backs to the wall’ defender. Did it well for Sky. And now Macandrew is playing a blinder for the embattled holiday operator. Good in the air. Jackie Brock-Doyle, director, CSM (part of Chime): Having faced challenges aplenty in the run up to the London 2012 Olympics, where she was comms chief, dealing with pacy wingers and surging attackers will be candy-from-a-baby stuff for Brock-Doyle. Paul Taaffe, CEO, Huntsworth: Has a reputation as a tough character; unafraid of tackling what’s in front of him – witness the substantial restructure of struggling Grayling under his watch – the former H+K boss has the midfield general qualities to repel opposition attacks. John Lehal, MD, Insight Consulting Group: Playing on the left is Lehal’s natural position, given his long-held involvement with Labour – he’s currently working with leadership hopeful Owen Smith. Suffered a setback last year when, as his campaign chief, Andy Burnham lost to Jeremy Corbyn in the last leadership battle – but 'Lethal' Lehal lives to fight another day. Angie Moxham, chief Monkey, Europe, 3 Monkeys Zeno: Expect the unexpected with Moxham. The mercurial founder of 3 Monkeys, newly strengthened by the agency’s recent merger with Edelman sister firm Zeno, has the creativity to find a way through the toughest defences. Tim Bell, chairman, Bell Pottinger: The most ‘out there’ right winger we could find. The fiercely outspoken Bell has the presence and stature to outmuscle any opposition and land the killer pass. Has lost a yard of pace recently. Nik Govier, co-founder, Unity: Renowned for being both creative and lethal at the business end of the pitch (process). Govier is a natural winner, as shown by her continued PRWeek Awards success. Alastair Campbell, adviser/consultant, Portland: A living legend of the PR game and a Burnley FC fanatic, Campbell is far from over the hill but remains an effective super-sub in his advisory role at Portland – any team sheet with his name on it will strike fear into opponents' (and journalists’) hearts. Misha Dhanak, founder and MD, The Romans: A potential next big thing of the PR industry having burst (Marcus Rashford-style) on to the scene and made big noises after the agency’s debut 18 months ago. Now is her time to stake a claim on the 1st XI. Nan Williams, CEO and co-founder, Four Communications Group: That increasing rarity in the modern game – a one-agency servant who has been with Four for 16 years, masterminding and nurturing new acquisitions. An experienced operator to steady the ship. Andrew Bloch, founder and group MD, Frank PR: Perhaps best known outside the PR world for his Twitter presence, yet Bloch’s creativity is a strong asset – with Frank’s strong financial performance showing how well this translates into end product. Charles Watson, chair, Teneo International: Watson has spoken openly about his desire for success on a global stage since Teneo snapped up UK players Blue Rubicon and StockWell. FIFA connections – Teneo advises the organisation – may prove handy off the pitch.